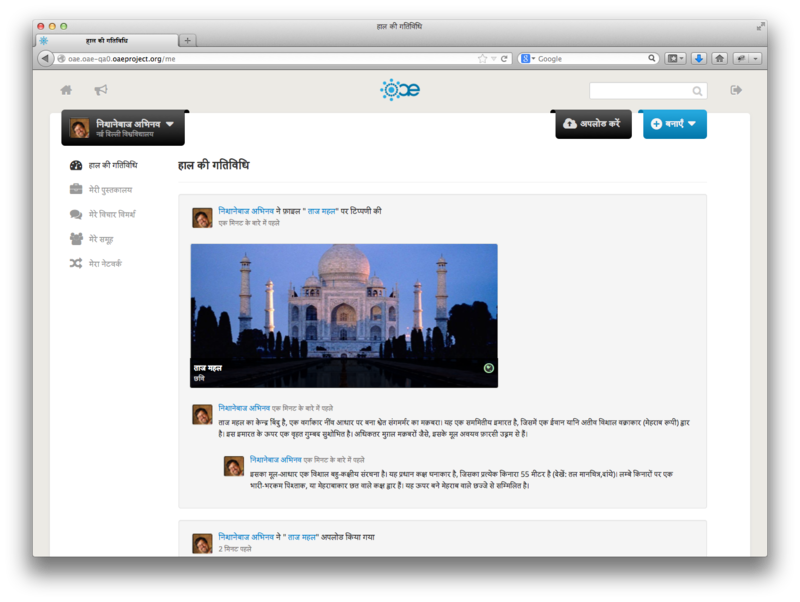 Back to posts Apereo OAE is now available in Hindi! 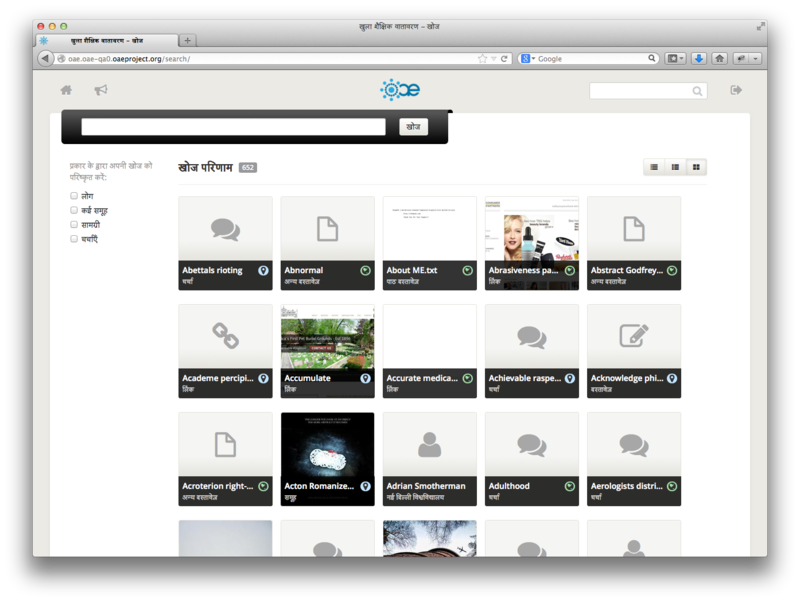 Apereo OAE is now available in Hindi! We're pleased to announce that a complete Hindi translation is now available for OAE. This translation is already part of the current OAE release. The Crowdin translation page for this can be found here. 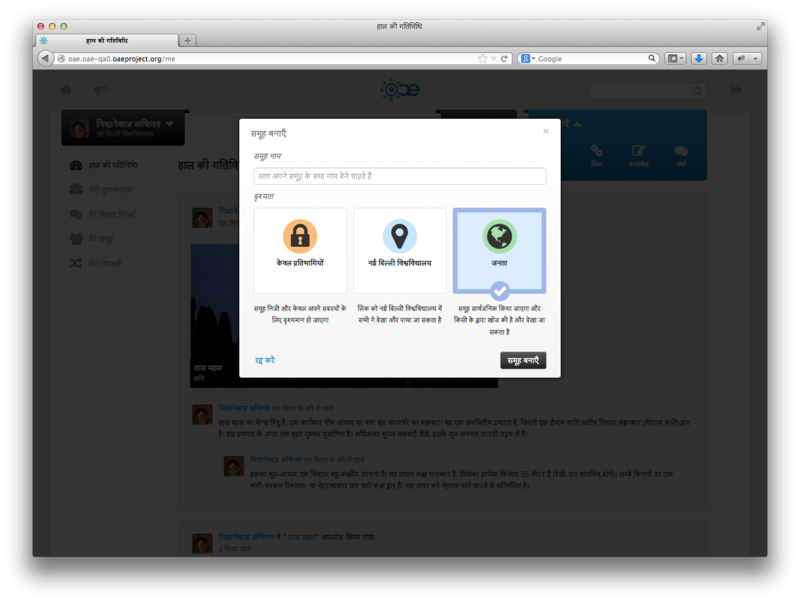 Below, you can find some screenshots of the application showing in Hindi. A big thanks goes to Udaya Ghattamaneni from Marist College for providing and maintaining this translation!